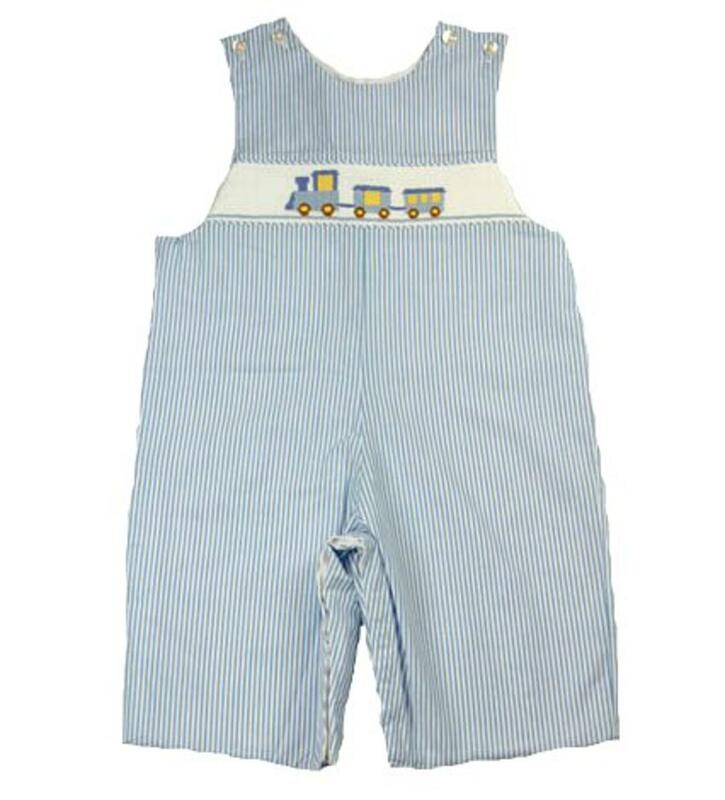 Trains are a boys favorite and this blue and white striped romper is adorable. It has a blue with yellow choo-choo train hand smocked along the chest. It is 100% cotton and has buttons on both shoulders and along the inside of the legs for easy access to change diapers.